Volusion is a relative ‘newcomer’ for ecommerce websites & shopping cart software. They might not be as notable as Shopify, but they pack Shopify-level features at competitive pricing. Plus, their SEO options are no joke and can help your store bring in more traffic and sales. As an ecommerce brand, you need organic traffic for your business to thrive. Sure, you can get away with paid traffic for a while, but as you scale, that simply becomes a losing, uphill battle where you have to spend thousands upon thousands a week to see bottom-line impact. 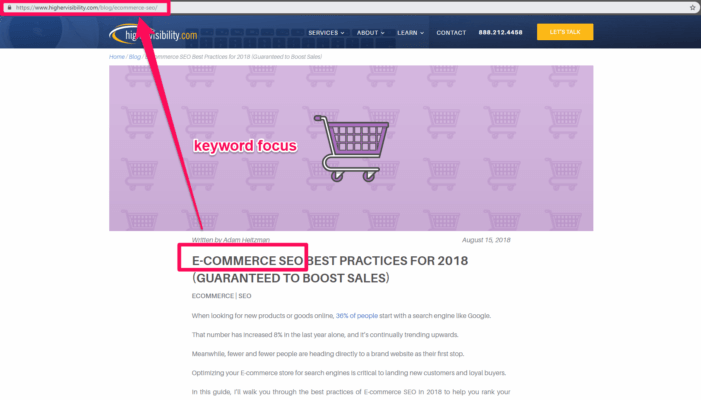 Here is why Volusion is a great platform for ecommerce SEO and five different ways you can bring in more traffic from your store by using it. 1 What is Volusion? Why Should You Use It? 2 Is Volusion a Good Ecommerce Platform for SEO? What is Volusion? Why Should You Use It? Volusion is an ecommerce hosting platform with over 180,000 online stores being hosted using their technology. With a focus on the small business, they represent amazing startups like Notch, Tiny House Coffee and Capital Teas. Enter your email and instantly get a Volusion SEO Cheatsheet to ensure that your store is following SEO best practices. Like most other ecommerce platforms out there, Volusion has you covered on integrations. Want to connect your email marketing, PayPal, Shippo, Stripe, or anything else? With Volusion, you can. With inventory management, payment collection options, and unlimited product listing, you can host a store that sells a few products or a few hundred products. Volusion’s pricing is a bit different than other platforms. It’s meant to scale as your business grows, ensuring that you aren’t paying exorbitant fees while you are still in the startup phase. As you can notice, payment options, product listings, storage, and many other features come included in all packages. Pricing will increase as your online sales increase. As you scale up in revenue per year, you unlock more critical features with the better plans, like reviews, a dedicated success team, and more. And the beauty of it is that Volusion’s success teams want you to succeed due to their pricing model. 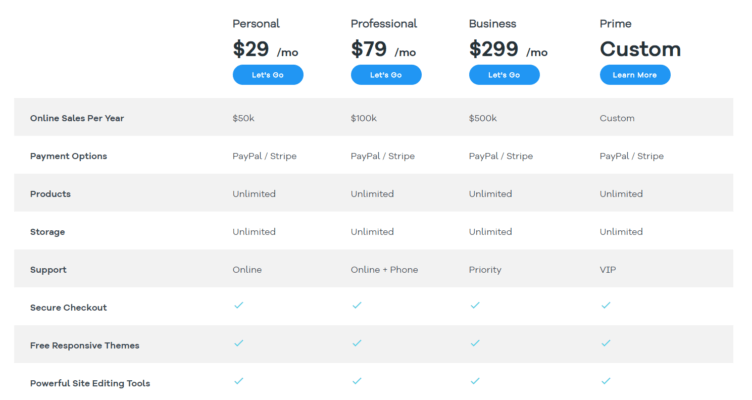 Compared to BigCommerce, Shopify, and 3dcart, the pricing is very competitive. One of the biggest selling points of Volusion is their themes. Not just because they are good looking, but because they have numerous in-house ecommerce CRO experts that have helped build them for sales-focused entrepreneurs. While they only have a limited selection of themes, each is customizable with countless elements. So, is Volusion any good for SEO? 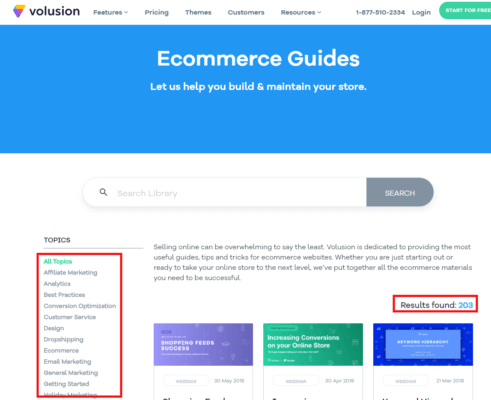 Is Volusion a Good Ecommerce Platform for SEO? Volusion is an optimization-focused ecommerce platform. It’s why their themes are designed for conversion rate improvement and why they have put time and effort into their tool stack. Search engine optimization is constantly changing. There are between 500 and 600 algorithm changes to Google a year. With over 200 existing guides on topics from data analysis to PPC to SEO to holiday marketing, you always have access to detailed information on improving your growth. Plus, Volusion has a great track record of SEO success when you look at client case studies. In fact, Volusion actually offers professional marketing services beyond general hosting packages if businesses need help taking their sales to the next level. For instance, one Volusion-backed store Boat Lift and Canopy was struggling to optimize their site’s product pages, metadata, and navigational UI with a conversion focus. To combat this, they focused on on-page optimization to rank higher in search for their target keywords. Optimizing FAQs and articles on their site, they could drive huge increases in organic traffic. The final nail on the head was implementing a content strategy on their blog to build brand awareness in their niche. Volusion’s offering made it easy for Boat Lift and Canopy to implement SEO. Using Volusion Blog they easily started their own content machine that could pull organic traffic. With metadata optimization, targeting the right keywords and increasing organic click-through rates was a piece of cake. 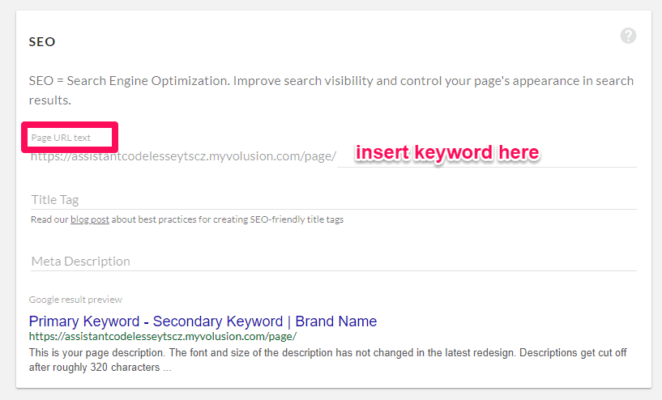 Here is how you can utilize Volusion’s SEO features with five tips to improving your organic performance. Volusion packs impressive SEO features and a focus on optimizing pages for traffic. Here are five critical ways to improve your organic traffic with a Volusion store. 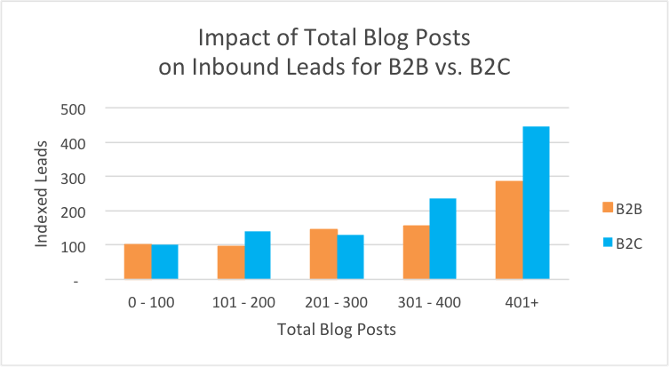 Blogging and content marketing are still king. While the market for content becomes more saturated, it’s still important to produce top quality content that can rank. Blogging in your niche should focus on building your brand. For online shoppers using Google to find products and companies, brand recognition was the number one factor that drove clicks in organic search. Known retailer is the number one thing that users look at when deciding whether or not to click on your organic listing for products. To build your brand, there is nothing better than starting a blog and writing on topics that your customers care about. With good keyword research, you can uncover great blog ideas to jumpstart your traffic. Before publishing your blog posts live, be sure to create SEO friendly URLs just like you would on product and category pages for your store. 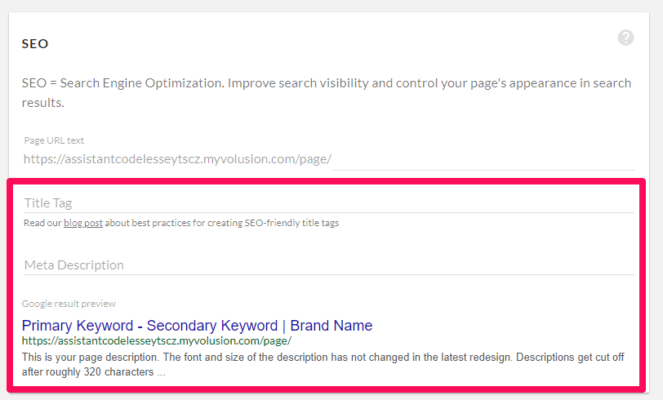 On your Volusion blog post, scroll down past the text editor and you will see an SEO section to add your URL string. This keeps the focus on your target keyword, and when users are looking on search results they will see your URL string and be reaffirmed that you are covering the topic they searched for, helping to improve your organic click-through rates. 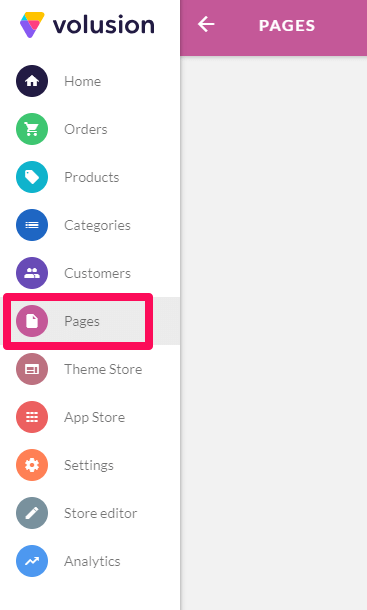 If you prefer an outside blogging platform like WordPress or Blogger, you can link it to your Volusion-hosted store. 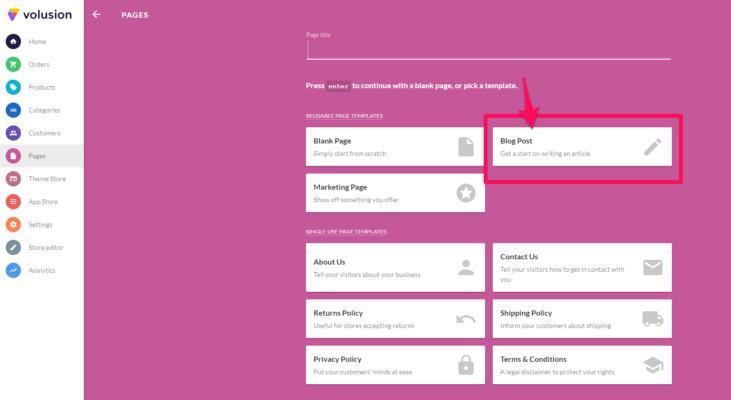 To do this, follow Volusion’s guide to setting up your WordPress or Blogger with your store. With algorithm changes coming every single day, it’s hard to know what SEO factors can really make an impact on your organic traffic. But the latest data shows that meta descriptions are still impactful for increasing CTR. One company was able to increase their organic traffic by 48% through writing better meta descriptions. This is where you can enter meta description and title tag information for each page. The key to success here is making every single title tag and meta description unique. Duplicating them will only lead to penalties with Google and bad rankings. 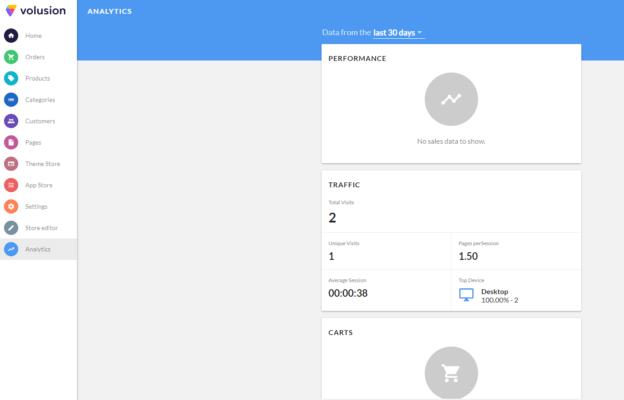 Google Analytics is a treasure-trove of data that any ecommerce store can benefit from. Stores looking to produce blog content and drive organic traffic shouldn’t go a day without Google Analytics installed. Can’t I just use Volusion’s store analytics? Absolutely…not. While it’s nice that platforms like Volusion offer integrated Analytics, they aren’t in-depth enough to help you improve performance at a high-level. To integrate Google Analytics, you can paste your Google Analytics code directly into the <head> section of your live editor. For more details on this, follow Volusion’s guide directly on your store. Search engines can only scan your text for information and contextual relevance. Images without alt tags give search engines no additional information, and they can also impact disabled persons when browsing who can’t see your image. Optimizing image alt tags takes just a few extra seconds of time and can help you boost relevance and SEO. Click on the “i” info button to pull up image alt editing. 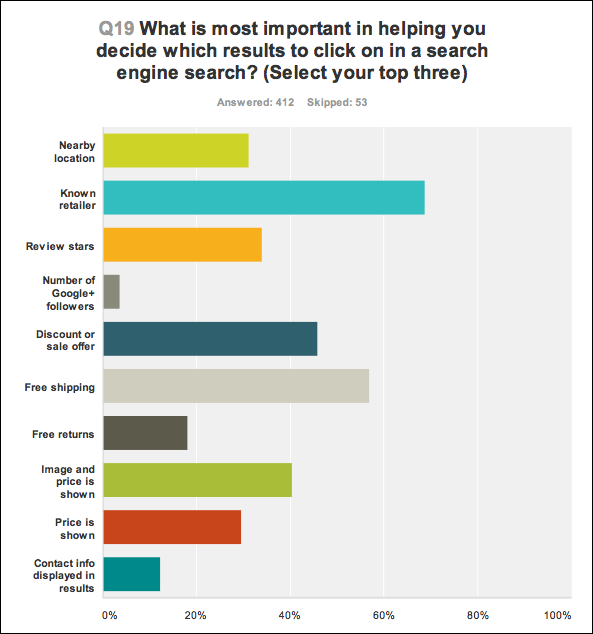 Optimizing category and product pages on your ecommerce store are critical components of good SEO. Targeting the right keywords and including the right content tapping into pain points can help you bring in more organic traffic that is qualified to buy from you. 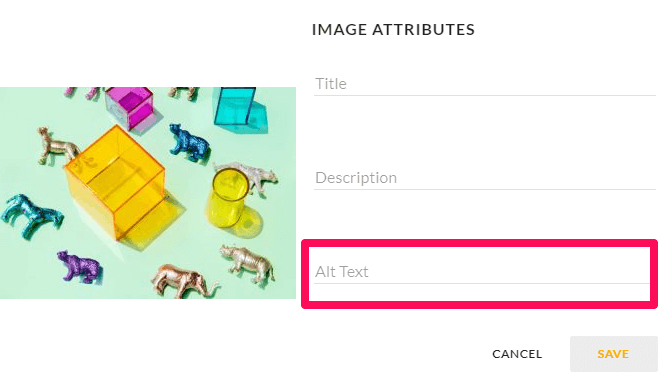 When adding new products on your Volusion store, start by naming your product and providing the product image, as well as editing the alt tags like we discussed earlier. The key section here will be optimizing your content on that page. This includes the text you write about the product and category itself. Where most go wrong is thinking that more is always better. But on product pages, you want to keep the description short and sweet, focused on the benefits of the product for customers. 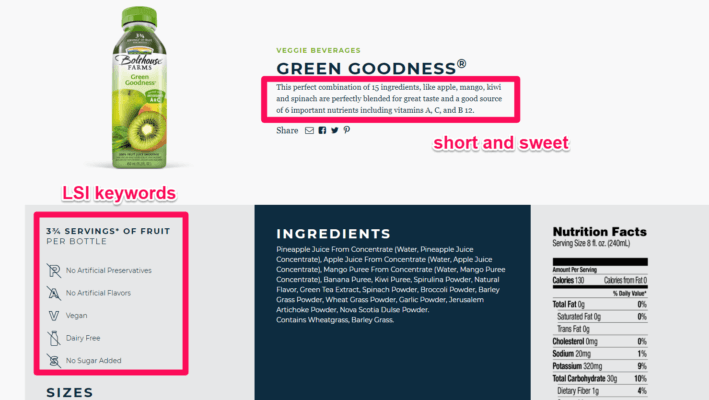 Keeping content short and to the point, they focus on a small description of the product and its benefits, like increasing your vitamin intake. 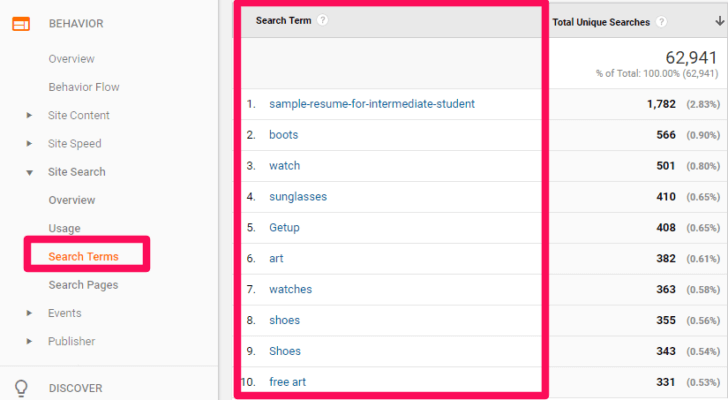 Using semantically related keywords they can help provide more context to search engines. On this category page, they communicate tons of value to customers and also improve their SEO by writing more relevant content on the topic. 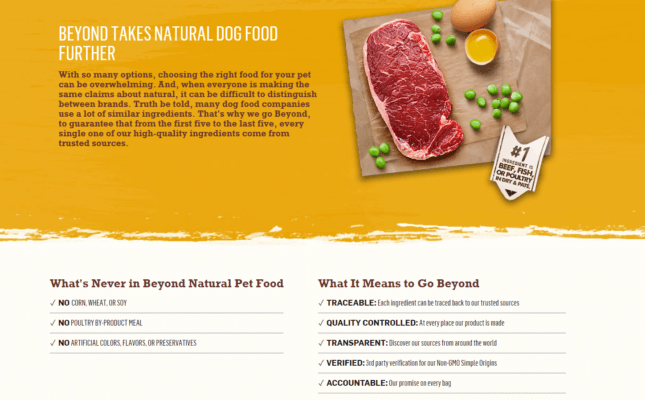 Expand your category and product pages to include your keywords and relevant information. But remember: don’t add content if it isn’t helping your brand or SEO. 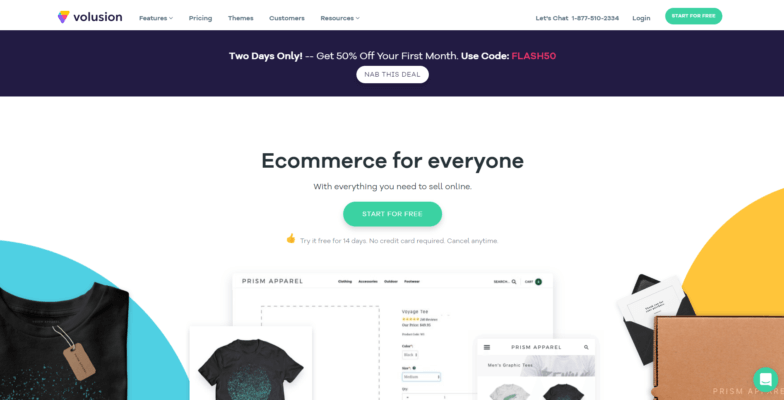 Volusion may be a lesser-known ecommerce hosting platform in a market dominated by Shopify and BigCommerce, but that doesn’t mean it’s devoid of features and a pricing scale that work. 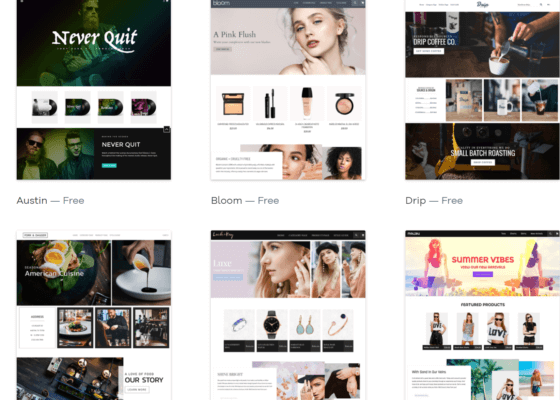 Volusion is backed by high-level marketers who have helped the company design CRO focused themes, easy SEO measures, and a world class content guides to help anyone from the new store to a thriving giant. 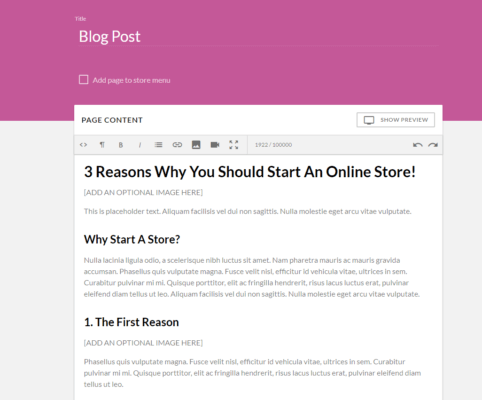 When optimizing your store with Volusion, the first step you should take is to initiate your blog. This is the meat and potatoes of SEO and is one of the best ways to start bringing in new traffic. Link your Google Analytics to get insights on blog success and your market. Optimize your product pages for target keywords and don’t forget to tag those images for an added SEO boost. Volusion is a fast growing ecommerce hosting platform with great features. Now it’s up to you to put them to use to grow your online store.